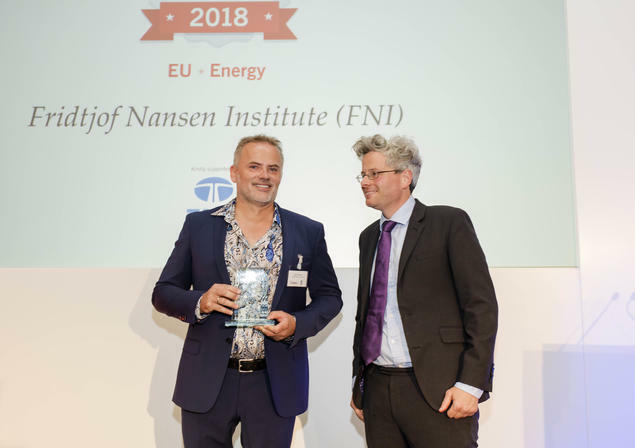 Once again, the Fridtjof Nansen Institute (FNI) has been voted ‘best European think tank’ in the field of energy and environment. The prize was presented at the Think Tank Awards, an event held annually by the UK-based Prospect Magazine. The awards are considered among the most prestigious quality ratings of independent research institutions and academic think tanks across the globe. 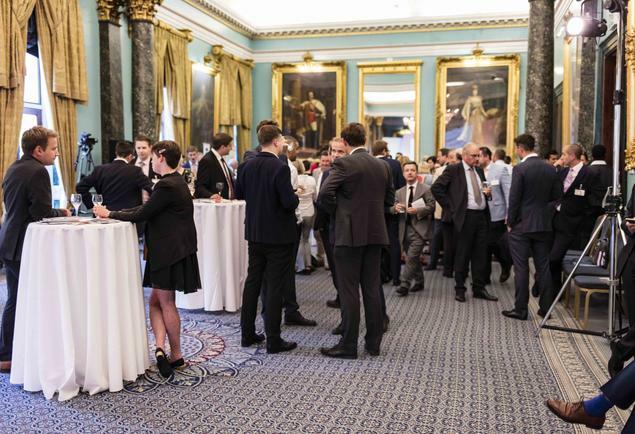 This year’s ceremony took place at the Institute of Directors in London 17 July, and among the nominees were well-established and renowned institutes such as Carnegie Europe, Chatham House and RAND Corporation. The awards, popularly labelled as the ‘Oscars of think tanks’, have four different categories: economic and financial, social policy, energy and environment, and international affairs; and separate awards are given for the UK, US and Europe respectively. FNI was first nominated in 2016, and then again in two categories in 2017: European international affairs think tanks and European energy and environment think tanks. FNI won the latter category, being commended by the jury for its high quality research within environmental politics in general, and for its work related to climate policies in the Arctic and the Anthropocene in particular. Now, following a 2018 award ceremony packed with highly acclaimed institutions, FNI can prize itself with having won the same, prestigious award two years in a row. FNI is the only research institute in Norway ever having been awarded the prize. The award shows that we are not just a one-hit wonder but have established ourselves on the international scene, said FNI Director Geir Hønneland from the Institute of Directors in London. The other nominees in the category of energy and environment in Europe were Centre for European Policy Studies (CEPS) and the Institute for European Environmental Policy (IEEP). The awards are judged by an independent, cross-party panel which includes representatives from the spheres of politics, business and science as well as major media outlets such as The Guardian and Financial Times. According to the award organizers, the judges looked for evidence of inﬂuence on public policy and on the public discourse, and also evaluated the quality of research. The mix of academic rigour, topical coherence and political relevance was obviously appreciated by the exquisite panel of judges, and I hope and believe this is how we are perceived in Norwegian academia and politics as well, said Hønneland. 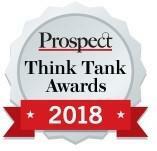 Previous winners of the Prospect Think Tank Awards include Brookings, RAND Corporation and Center for European Policy Studies (CEPS). For more information on the 2018 nominees, the award winners and the jury's comments, read Prospect Magazine's coverage from the ceremony.